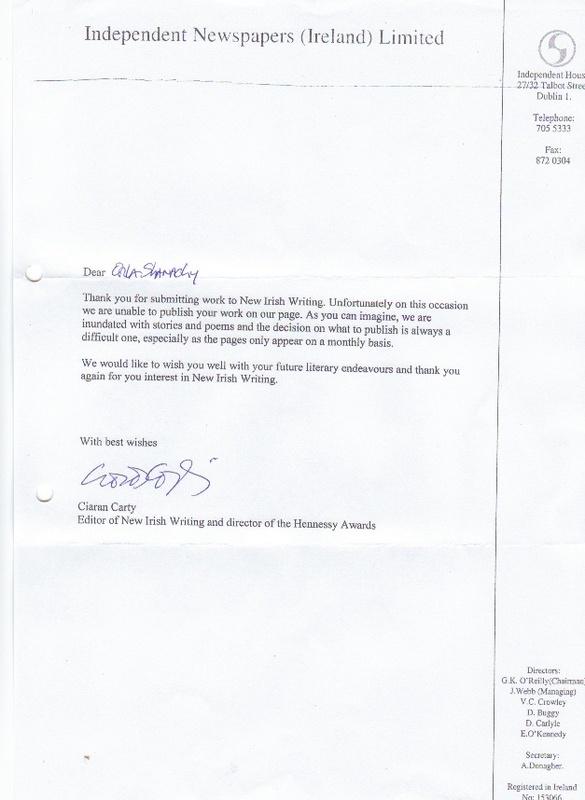 Posted on November 9, 2012, in Writing and tagged dermot bolger, hennessy awards, joseph o'connor, new irish writing, rejection, Writing. Bookmark the permalink. 3 Comments. Well done Orla, keep going I can see good things for you. I remember my PFO from Ciaran.